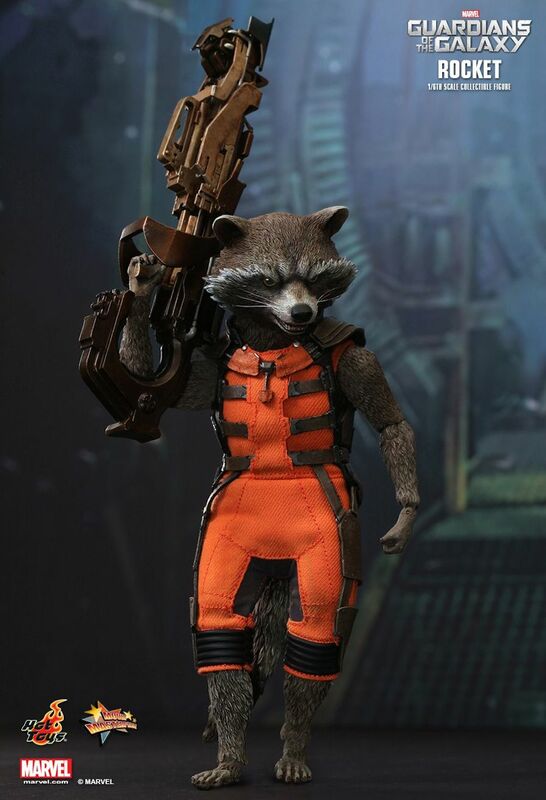 Home Random Stuff Blog Hot Toys Unveils Groot and Rocket 1/6th Scale Figures! 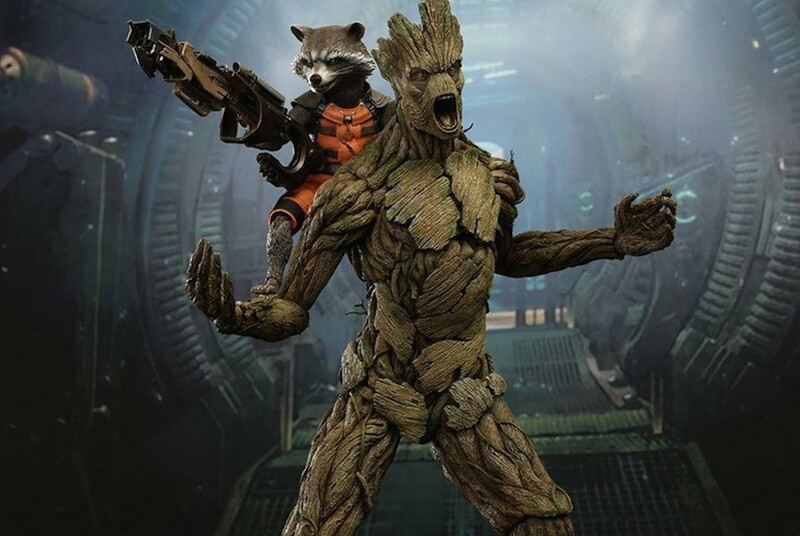 The next big Marvel movie that’s coming our way is Guardians of the Galaxy. The characters in this movie are definitely mainstream as The Avengers or X-Men but based on what we’ve seen in the trailers, the film has a lot of promise and potential. 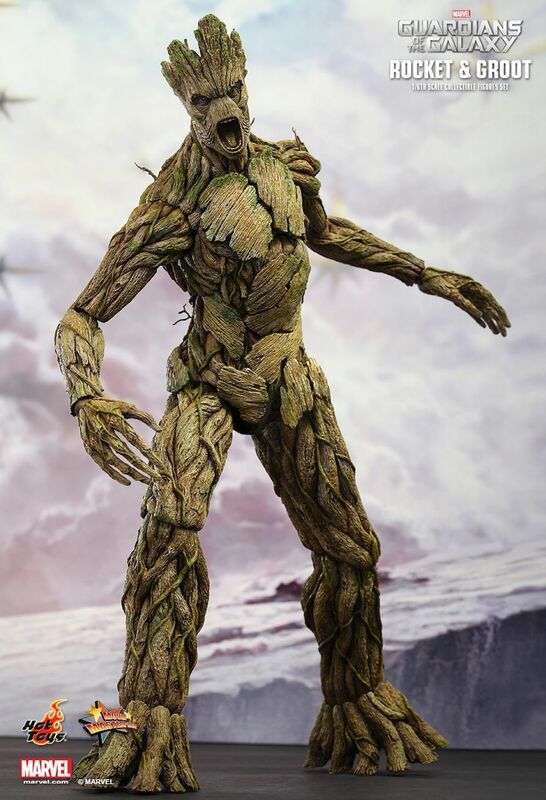 Marvel is putting all of their marketing muscle behind this new franchise and just like their previous movies they tapped Hot Toys, the premiere makers of 1/6th scale collectibles, to release figures of the main characters in Guardians. 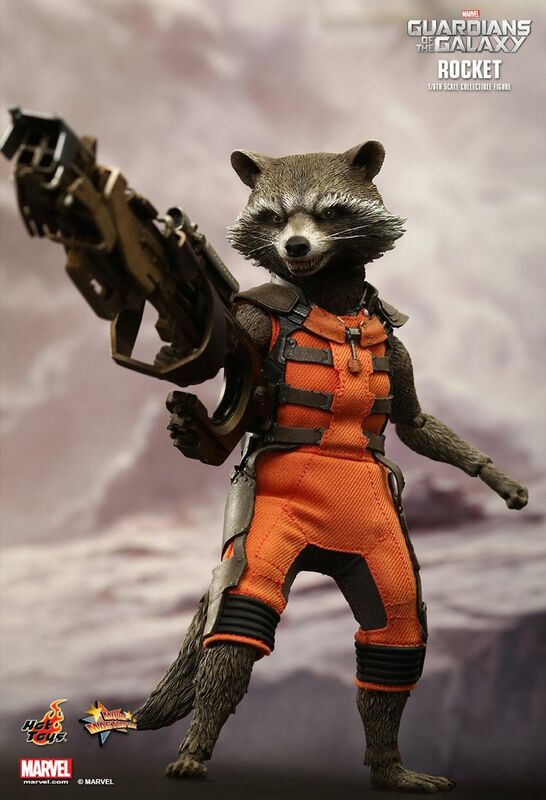 Hot Toys already announced the first two characters of Guardians — Rocket Racoon and Groot. 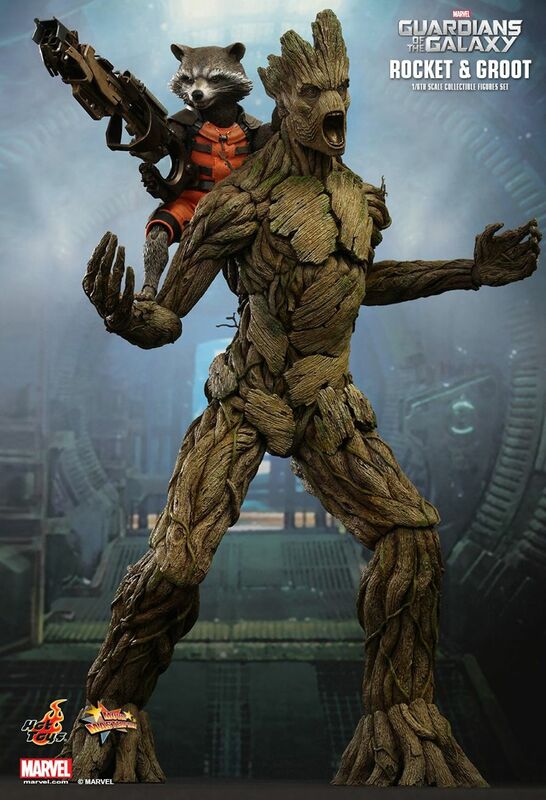 Check out the photos of both figures below (we think they come in one package). 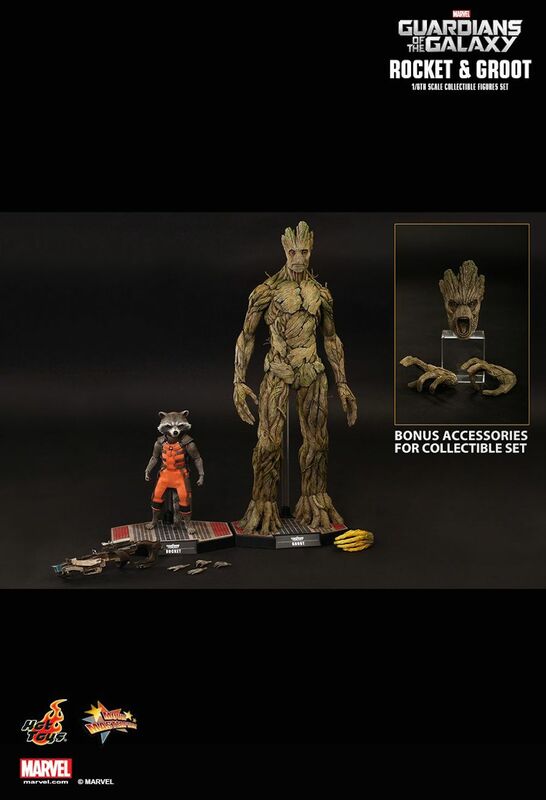 For more information about both figs, check out the official Hot Toys website. 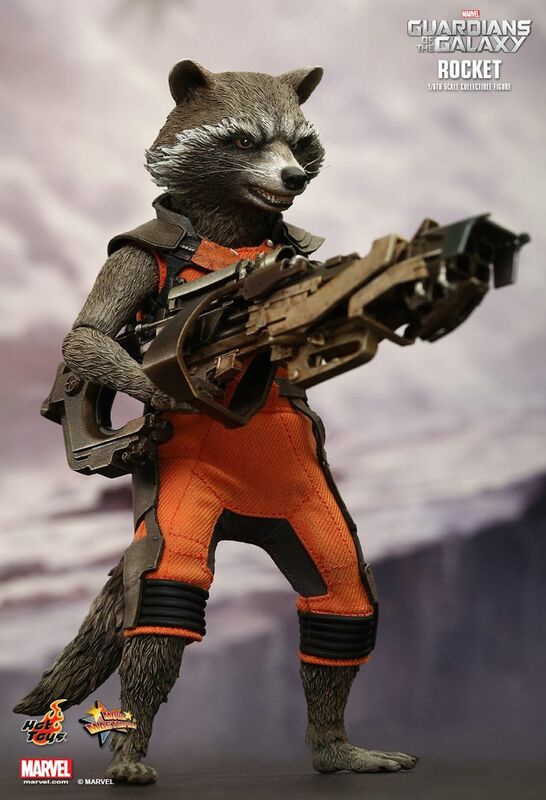 Pre-orders will be up soon but the figures will probably hit the market early next year.